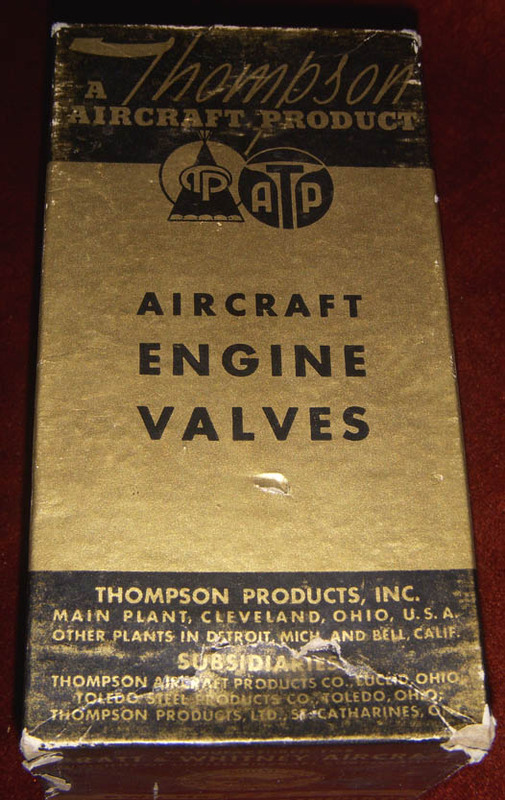 ARTIFACT: This is a great World War II parts box from Thompson Aircraft Products of Cleveland, Ohio. Thompson Products lent a modest hand to the development of early aviation through development of sodium-cooled cylinders, which enabled the Spirit of St. Louis to traverse the Atlantic in 1927. 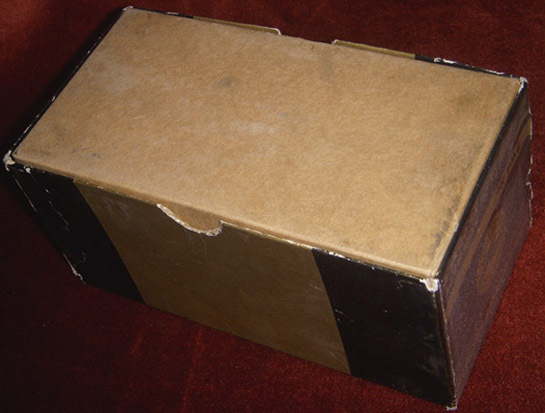 This box was manufactured for Pratt & Whitney Engines. SIZE: Approximately 3-5/16" in height and 3-7/16� in width and 6-3/4� in length. MARKINGS: MADE IN U.S.A. 95; THOMPSON PRODUCTS INC. MAIN PLANT, CLEVELAND, OHIO, U.S.A. followed by additional information. 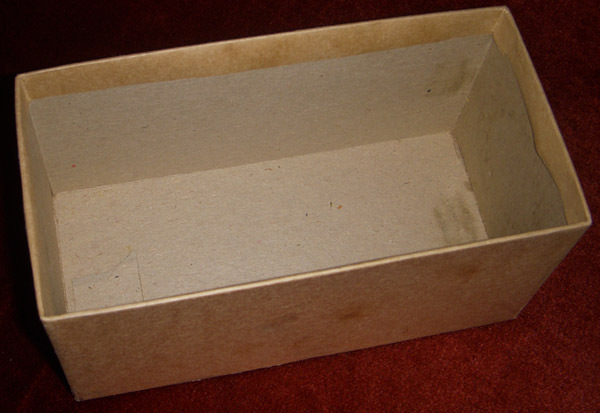 CONDITION: 7- (Very Fine-): The box has one dent, some small spots of light to moderate wear and some areas of paper lifting along the edges.